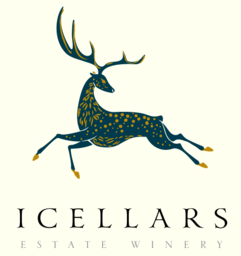 Icellars Estate Winery is a small boutique VQA member winery located in the heart of Niagara Wine Country. The 60 acre property was carefully selected by owners Adnan and Elif Icel based on research they undertook relating to ideal growing conditions for vinifera varieties Cabernet Sauvignon, Merlot, Cabernet Franc, Pinot Noir and Chardonnay. The winery uses only 100% estate grown fruit from their vines. The winery building was designed and built on the principles of having everything under one roof, creating a simple yet functional space. Small lot wines are processed separately by gravity flow in an environmentally friendly design. The simplicity of the architectural design is echoed by offering only their own limited production wines for sale in a practical but cozy tasting room. Tastings available at the Wine Boutique from May 14 to November 27 on Fridays (11am - 5pm), and Saturdays and Sundays (12pm to 6pm). Tastings from December through April are by appointment only.